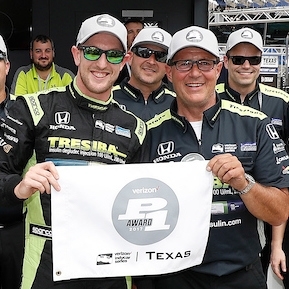 Secured first career IndyCar pole position (Texas Motor Speedway). Posted five top-10 finishes. 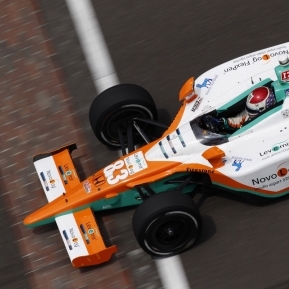 Finished fifth at the 100th Running of the Indianapolis 500 and recorded 11 top-10 finishes. Received the Firestone "Drive to the Finish" Award for completing the most laps of any driver during the season (2,066 of a possible 2,070, 99.8 percent). Scored 10 top-10 finishes, including three top-five results. 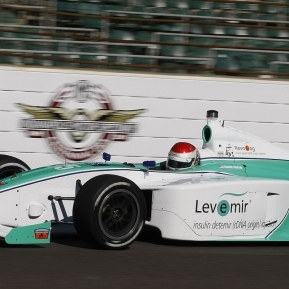 Recorded best finish at the Indianapolis 500 (third) and led 10 laps at the historic track. 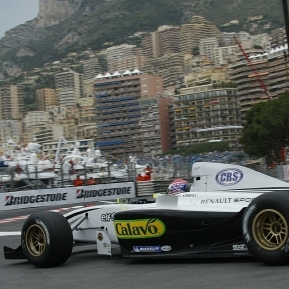 Recorded 10 top-10 finishes, including four top-five finishes and one podium finish. Earned the "Don’t Crack Under Pressure" Award for advancing the most cumulative positions during the season. 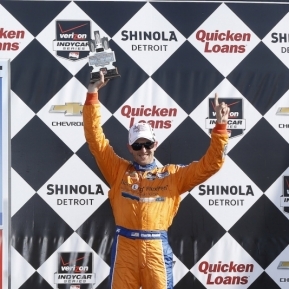 Kimball makes history by becoming the first driver with diabetes to win an IndyCar race, the Honda Indy 200 at Mid-Ohio in August. Wins his first Rolex 24 At Daytona driving for Chip Ganassi Racing with Felix Sabates with teammates Scott Pruett, Memo Rojas, Juan Pablo Montoya. 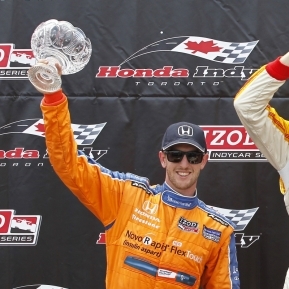 Kimball secures his first career IndyCar podium, finishing 2nd in Toronto after starting 13th. Posts six Top-10 finishes (2nd in Toronto, 8th in Brazil, Indianapolis and Detroit, 9th in St. Petersburg, 10th in Fontana). 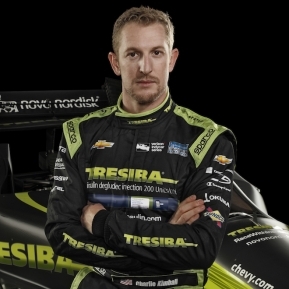 Kimball joins the newly formed Novo Nordisk Chip Ganassi Racing team. Records two top-10 finishes in the No. 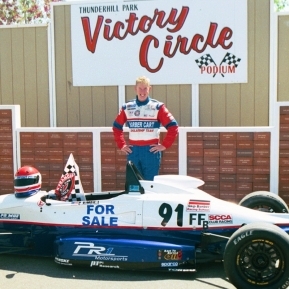 83 Novo Nordisk sponsored car in his rookie season in the IZOD IndyCar Series. 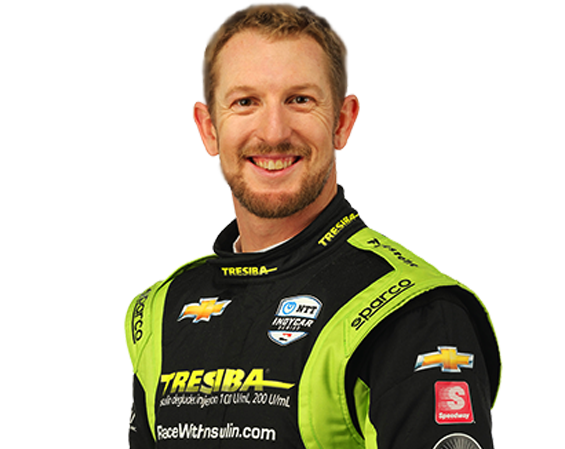 Becomes the first driver in history to qualify for the Indianapolis 500 with type 1 diabetes, finishing 13th in a field of 33. Kimball returns to Firestone Indy Lights for 2nd year with legendary AFS Racing/Andretti Autosport in the No. 26 Novo Nordisk sponsored car. Finishes the season strong with 4th place in overall points and is honored with the 2010 PNC Community Leader Award as driver who best displays community service or community outreach. 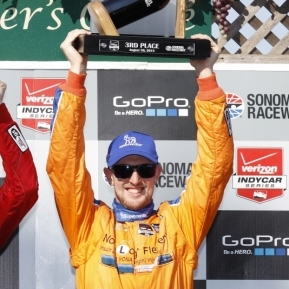 Kimball returns to US racing with Team PBIR in Firestone Indy Lights. 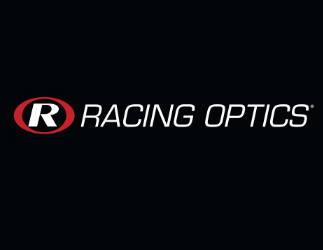 Competes at historic tracks, like the Indianapolis Motor Speedway, and scores season best fourth place finish at Watkins Glen. 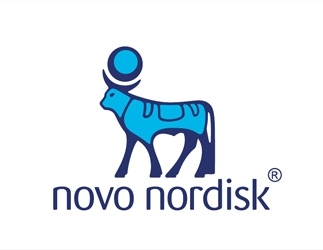 Announces groundbreaking partnership with diabetes care company Novo Nordisk. Makes pharmaceutical marketing history with first branded tweet. 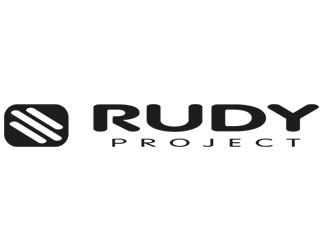 Returns to Formula 3 Euroseries with Prema Powerteam. Finishes second in opening round and first race with diabetes. Becomes spokesperson for DexCom - producers of his Continuous Glucose Monitor. Competes in World Series by Renault. 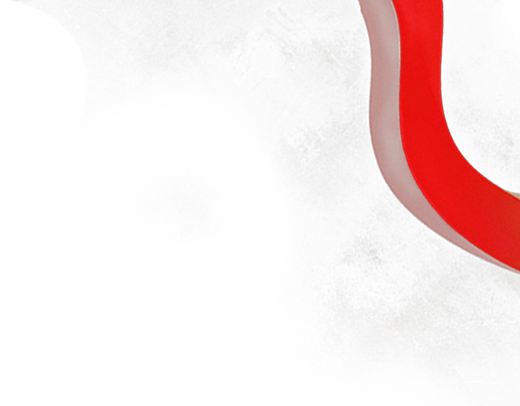 Prevented from completing the season due to Type 1 Diabetes diagnosis. Works with a team of diabetic specialists to return to optimum physical form. 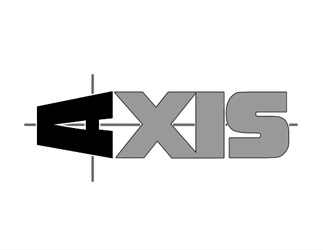 Moves to Formula 3 Euroseries. Wins at Zandvoort beating F1 race winner Sebastian Vettel and F1 driver Kazuki Nakajima. 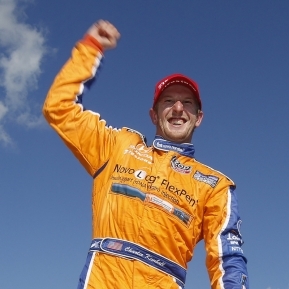 First American ever to win a F3 Euroseries race. 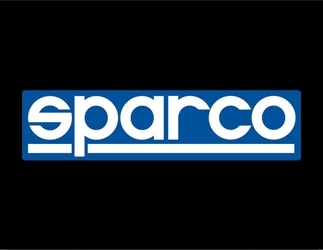 Graduates to British Formula 3. Wins five races, sets two track records, 2nd in Championship. 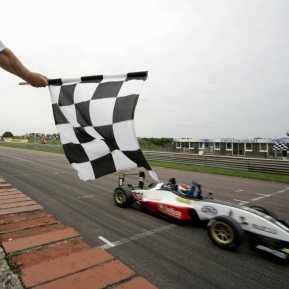 First American in 13 years to win a British F3 race. Moves to Europe to pursue Formula One dream. 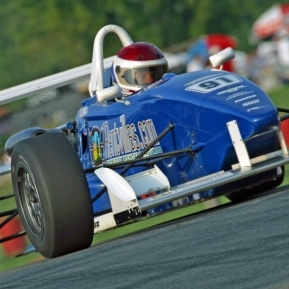 Competes in British Formula Ford, wins two races and scores five poles. 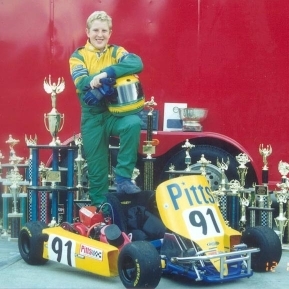 Competes in US Formula Ford 2000. Wins four races and finishes 3rd in championship. 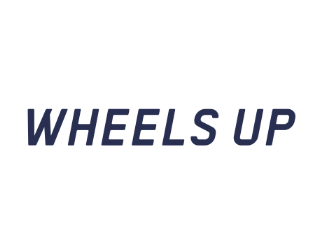 Begins open-wheel racing. Wins first car race ever, and sets a new track record. 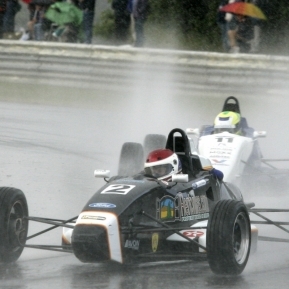 On 16th birthday, tests Formula Ford. Falls in love with car racing. Begins go-karting at age 9, displaying speed and talent. Over the next few years, wins seven national go-Karting championships.